Mandy grew up in the Franklin-Springboro, Ohio area. Throughout her childhood she was active in a variety of sports including soccer, basketball, softball and competitive all-star cheerleading. After suffering from multiple injuries, she decided to solely focus on all-star cheerleading at Legacy Xtreme in Miamisburg. Her lifelong love of sports, combined with her personal understanding of how injuries impact mental and physical performance, has helped guide her towards the unique field of Sports Psychology. 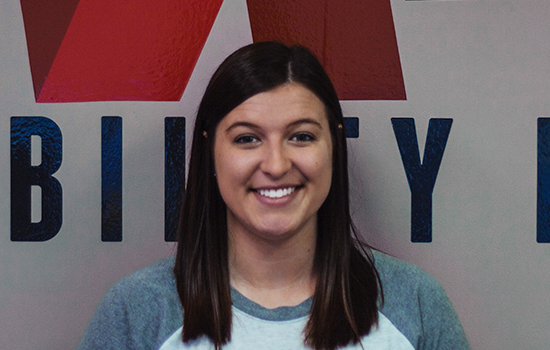 Mandy has a Bachelor’s degree in Psychology from the University of Cincinnati where her main concentration was sports and how an athlete’s mental status impacts their physical performance. Mandy completed her Master’s Degree in Sports and Performance Psychology at The University of Western States and she looks forward to helping athletes achieve their maximum potential. During her free time, Mandy enjoys spending time with family and her dog, Remington!